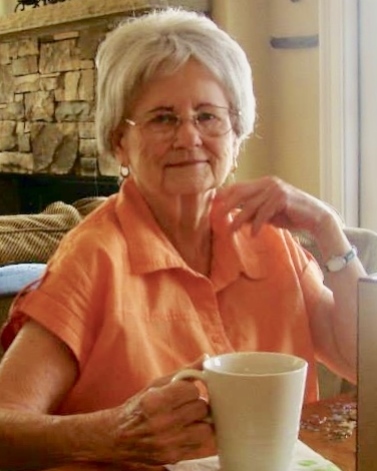 Lakeland - Martha M. Ogline passed away October 27, 2018. She was born May 29, 1922, in Eudora, Arkansas. She was the daughter of George and Ethel Catron. She moved to Lakeland, Florida at the age of 9 and graduated from Lakeland High School. She retired from Kraft Foods accounting department.She was a member of Trinity United Methodist Church. She was preceeded in death by her husband Theodore (Bud) Ogline. She is survived by one sister Georgia Lee Dicks: three daughters Enza Rhodes, Barbara Williams, and Jill Smith: nine grandchildren Jim Rhodes, Michael Rhodes, Chris Akers, Amber Tindell, Daniel Williams, Jamie Mercer, Jennifer Sanri, and Cindy Tracy: eight great-grandchildren Samantha Rhodes, Dominic Tindell, Benjamin Thornton, Samuel Thornton, Anna Williams, Presley Sanri, Sawyer Sanri, and Mercer Sanri. In lieu of flowers donations may be made to: Florida Baptist Children's Home, 1015 Sikes Blvd., Lakeland, FL 33815.